NMAP shows SSH, HTTP, Samba, MySQL, and an IRC server. I’ve never seen an IRC server on one of these before, so I decided to go check that out first while I ran other scans in the background like Nikto and Go Buster. I connected to IRC with Hex Chat and tried some things, but got nowhere with it. I reminded myself not to waste time. 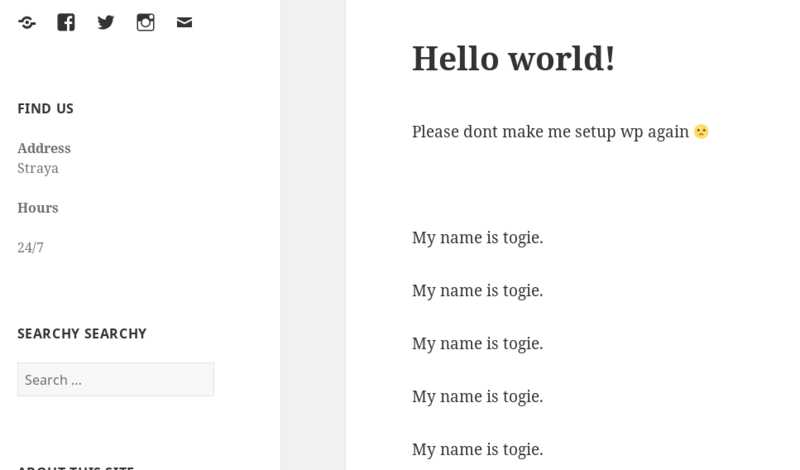 Port 80 presents us with a basic static page. Nothing too interesting here, except some encouragement to try harder if you scroll down the page. Checking the paths listed in robots.txt didn’t turn up anything too interesting. Next, I ran a Nikto scan as well as a directory brute force via Go Buster. 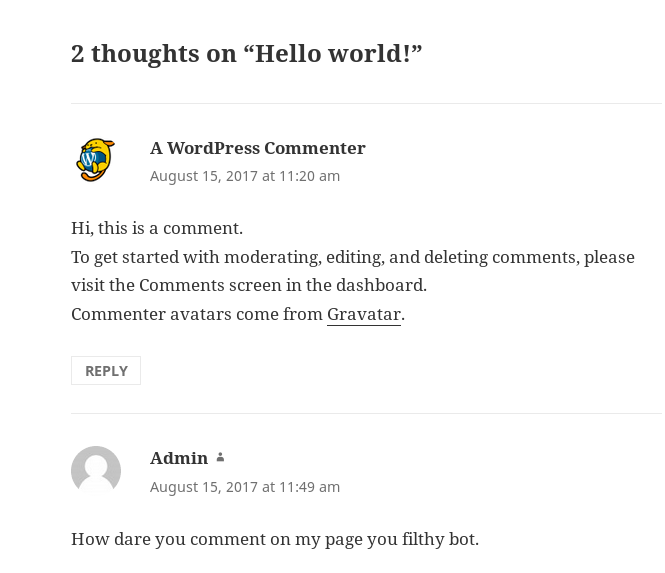 WordPress is known for being insecure when managed by “Lazy” Admins. Ok, so his name is togie, got it. That post has 2 comments, let’s view them. Here, it looks like our Lazy Sys Admin is using the default WordPress Admin account. I verified this by running wpscan and enumerating users. I tried brute forcing the WordPress login with the Admin account (again, using wpscan) but this went nowhere. At this point, I hit a dead-end, so decided to revisit the enumeration in step 1. I hadn’t yet checked on the Samba stuff. 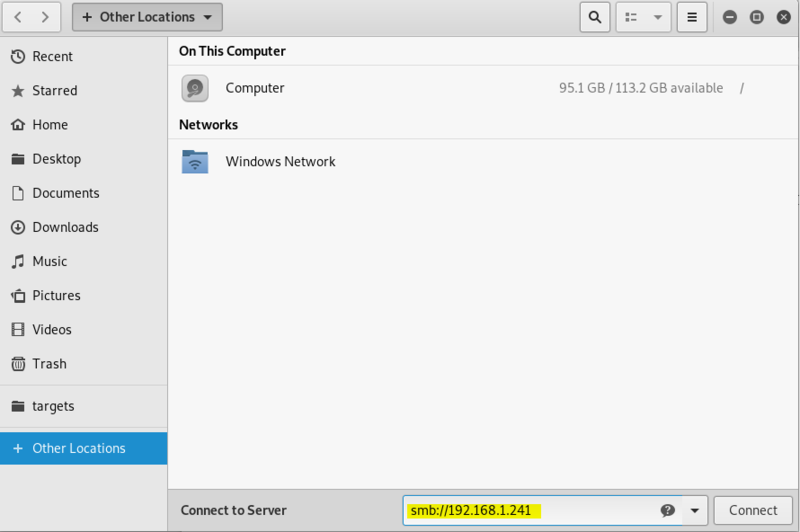 I connected to Samba through the Kali Linux file explorer, but could have done this through the command line as well using smbclient. Todolist had a fairly useless message, but deets.txt had the following content, supporting the “Lazy Admin” theme. The next thing to check is wordpress/wp-config.php, which contains MySQL database credentials. 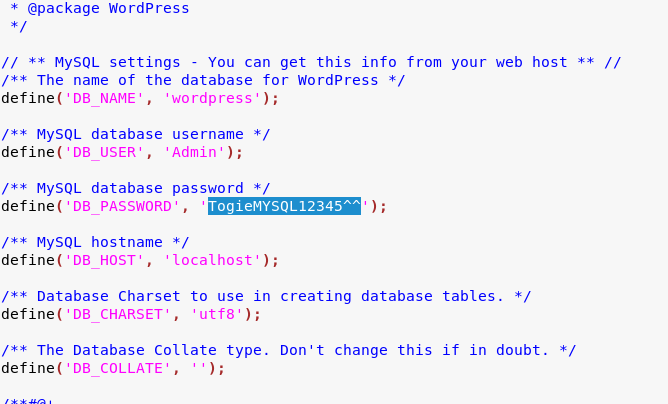 The MySQL password worked for logging into WordPress! 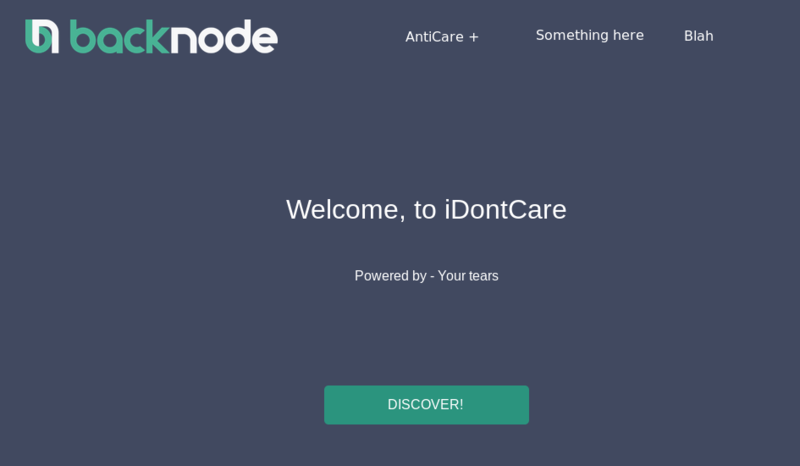 From there, I spent some time messing with WordPress and got a reverse shell connection back very easily, but this mostly turned out to be a waste of time in the end. More on that coming up. Using my reverse shell, I checked /etc/passwd and saw the user togie there, as expected, but nothing else useful. I tried the MySQL password on SSH with the togie user, but no dice. I also poked around in phpMyAdmin using the URL found earlier by Nikto, and it sort of worked but had some errors and seemed to be a rabbit hole. Before going any further, I decided to revise my approach. Seemed plausible, and appropriately “lazy”, but this did not work. 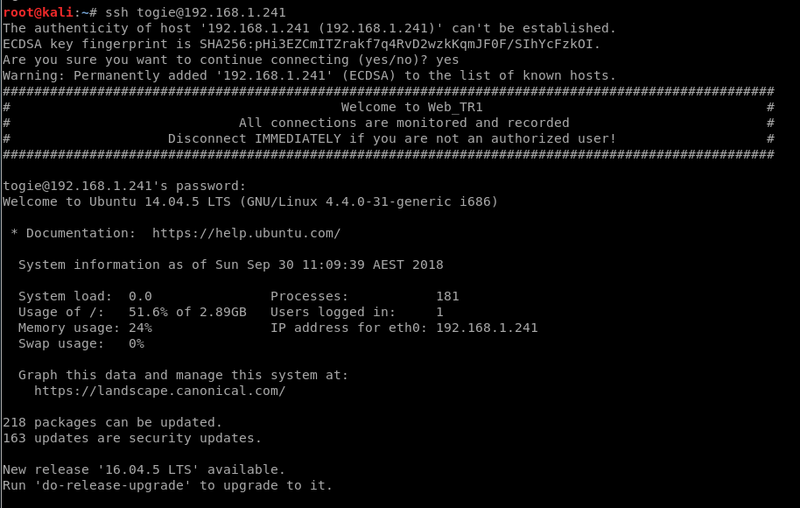 While I thought about what to do next, I figured I should at least be running a wordlist attack against the SSH login in the background. The SSH password is literally 12345, which is the 2nd freaking line of rockyou.txt, a file that contains over 14 million passwords. They already told me the password was 12345 back in deets.txt. I was wasting time and over complicating things. Lesson learned, togie! Normally, at this point I would run scripts to enumerate for privesc opportunities, and then start manually digging around the filesystem. But, the first thing I always try is sudo. 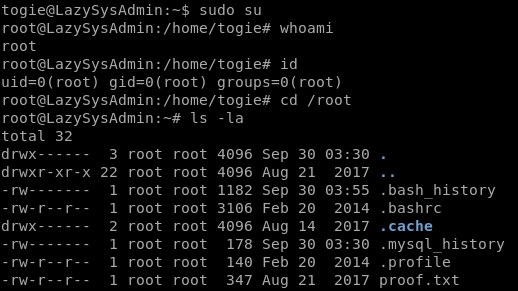 From here it’s a simple matter of running sudo su - to become root. 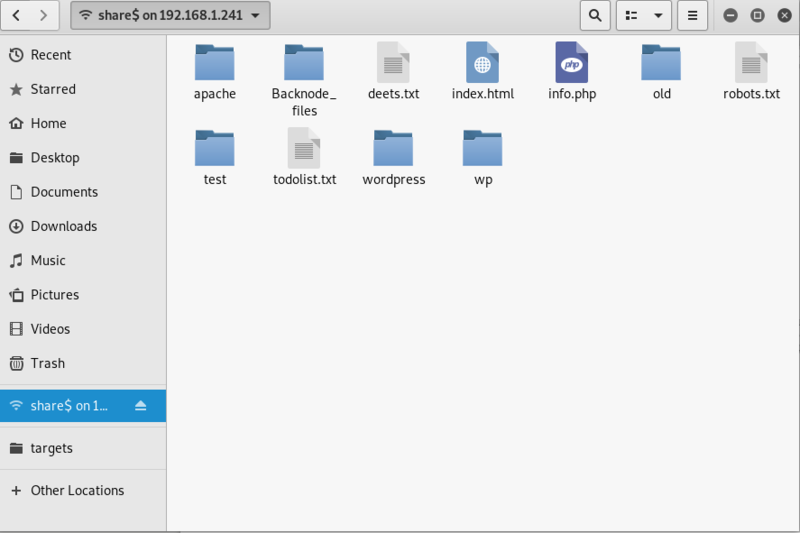 Hacking the WordPress site and getting a reverse shell back as www-data. 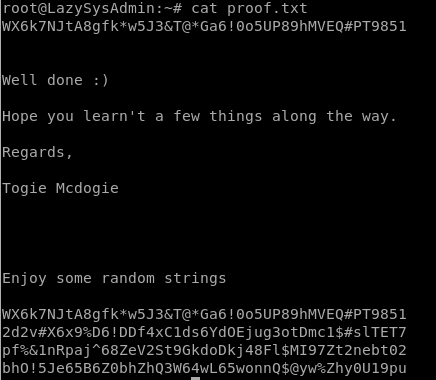 This was obviously unneeded as I could have just connected by SSH using the credentials I already had from deets.txt. Trying various things using the words “Straya” and “yogibear” which were found on the WordPress site. Tooling around on the IRC server. Trying to find some channels, bots, or something. And making a half-hearted attempt to become an IRC Operator. 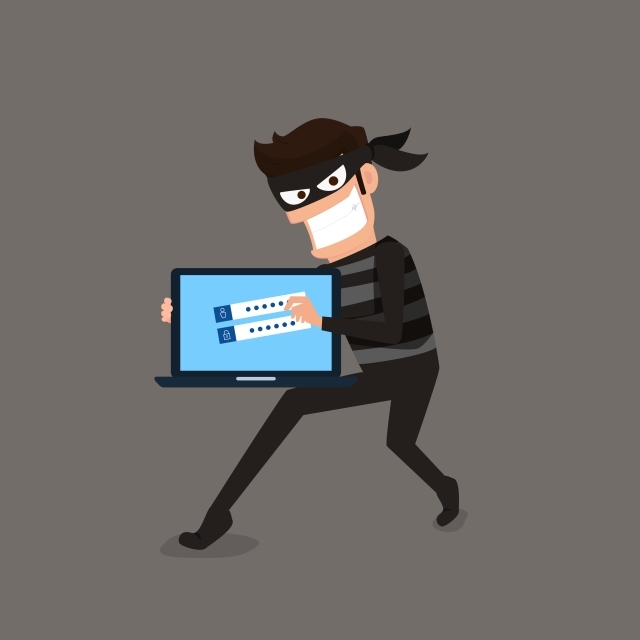 Digging around in phpMyAdmin with the pilfered WordPress DB credentials. That’s not to say these were all useless, or maybe not even dead-ends (I didn’t dig any deeper.) It’s just that there were much simpler methods available, right in front of me, as the VulnHub description said. Thanks for this, Togie McDogie. I will keep it all in mind when I start the PWK labs in November. Overall, though, this one was quite easy. It took way longer to write this blog post than it did to solve the VM. I’m feeling more ready for my OSCP journey with every passing day.